Miners and their families, New Lambton A Pit, New Lambton, September 1888. From the Ralph Snowball/Norm Barney Collection, University of Newcastle, Cultural Collections. The 1888 strike began as a miners’ dispute that no dirty work or “black legging” be attempted. “Black legging” referred to the practice of contracting non-union labour to work newer pits and dirtier sections. Miners believed that a fair price should be paid to existing union workers. The dispute escalated when mine management would not cease this practice. Management argued that the collieries would be flooded with worked coal in the months to come or be destroyed by disrepair as a result of stopping work. At the centre of the dispute was the question of wages. The wealth of the managers contrasted sharply with the wages of the miners. As historian Robin Gollan notes, this ‘strike was the first overt expression of such a criticism [a criticism of the social order] backed by industrial action’ (Gollan, 1963: 75). 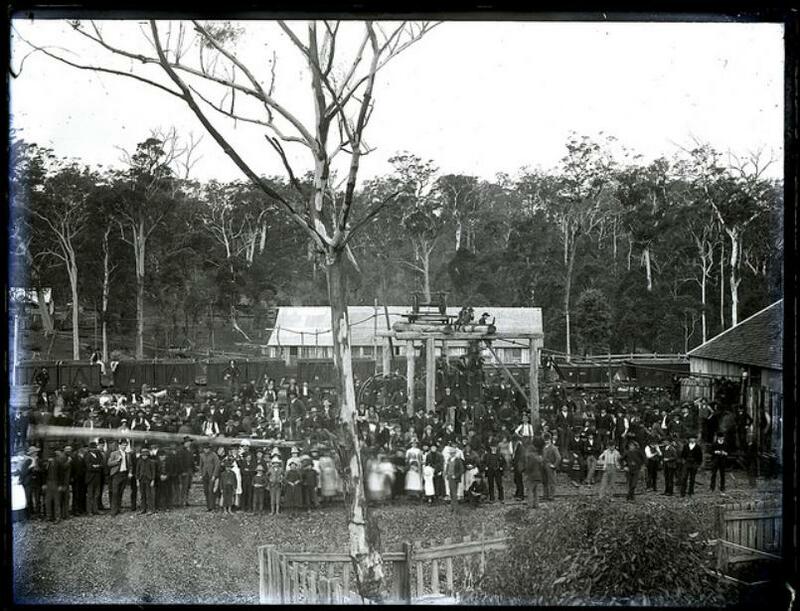 During the months of the strike various gatherings were held to mediate the disputes, such as the Miners’ strike gathering, which was held at Cooks Hill, NSW, on 15 September 1888. The Sydney Morning Herald reported what it described as “riots”, including the ‘Adamstown riot’ at New Lambton C Pit on Tuesday 18 September 1888. 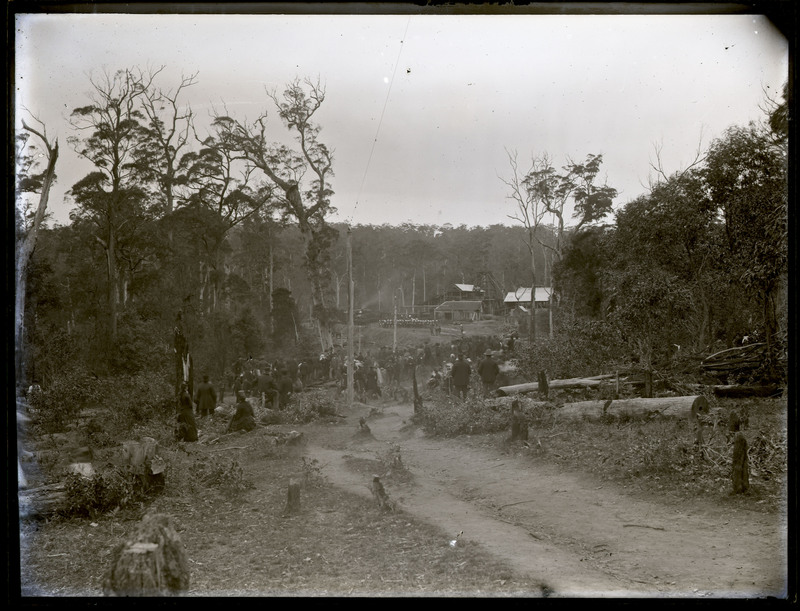 This so-called riot involved a gathering of miners armed with sticks and stones taunting the non-union workers. The strike also affected shipping and the number of ships loading at the dyke, and had an effect that went beyond local communities. New Lambton C Pit strike, Adamstown, September 1888. From the Ralph Snowball/Norm Barney Collection, University of Newcastle, Cultural Collections.